Thomas Babington Macaulay, eldest child of Zachary Macaulay, was born in Leicestershire on 25th October, 1800. Zachary Macaulay, who had worked in Jamaica as a young man and had witnessed at first-hand the way slaves were treated, became active in the attempts to make the trade illegal. He became editor of the Christian Observer and in 1823 joined with others to form the Anti-Slavery Society. Thomas was an extremely intelligent child he began writing poems about historical characters at the age of eight. Thomas Macaulay went to Trinity College, Cambridge in October 1818. Macaulay became friends with other students who held progressive political views including Lord Grey and Charles Austin. Macaulay became very interested in utilitarianism and was influenced by the ideas of Jeremy Bentham and Joseph Priestley. One of Macaulay's campaigns at university was to bring an end to the rule that forbade a discussion of public affairs at the Student Union later than those of the last century. Macaulay became a lawyer after he left university. 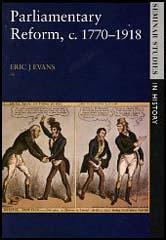 He continued to be interested in politics and in 1824 received publicity for an impressive speech at a meeting of the Anti-Slavery Society. Macaulay also became a regular contributor to the Edinburgh Review, a journal formed by Whig politician, Henry Brougham. Lord Lansdowne was impressed by Macaulay's articles and in 1830 offered him the seat of Calne, a pocket borough under his control. On 2nd March 1831, Macaulay made a speech in support of the parliamentary reform measures being proposed by Lord John Russell. It was claimed that Macaulay's speech was one of the most impressive heard in the House of Commons. Even Sir Robert Peel who was leading the campaign against the Reform Act, praised Macaulay's contribution to the debate. In June 1832 Earl Grey appointed Macaulay as a commissioner of the board of control. In the general election that followed the passing of the 1832 Reform Act, Macaulay was the Whig candidate for the newly established parliamentary constituency of Leeds. His rival for the seat was the Radical Tory, Michael Sadler, who had been involved in the campaign against child labour. Macaulay was elected with 2,012 votes with Sadler only obtaining 1,596. Macaulay pleased his father with his role in abolishing the British slave-trade in the West Indies. Zachary Macaulay had been involved in several bad business deals and was now deeply in debt. In an attempt to help his father pay off his creditors, Thomas Macaulay accepted a lucrative post on the Supreme Council of India. During his stay in office Macaulay received £50,000 and was able to pay off his father's debts. In 1839 Macaulay was elected to represent Edinburgh. Soon after arriving back in the House of Commons, Lord Melbourne appointed Macaulay as his Secretary of War. He held the post until the fall of the Melbourne government in 1841. Out of office, Macaulay now had the time to write. As well as producing articles for the Edinburgh Review, Macaulay began work on his History of England. In 1846 Macaulay became postmaster-general in the government led by Lord John Russell. Macaulay rarely spoke in the House of Commons but he did play an active role in support of John Fielden and his campaign for the Ten Hour Act. After his defeat in the 1847 general election, Macaulay once again returned to writing his History of England. The first two volumes were published to great acclaim in 1848. Over 13,000 copies were sold in four months. Only Sir Water Scott and Charles Dickens could compete with Macaulay's popularity as a writer. In July 1852 Thomas Macaulay was once again returned as MP for Edinburgh. However, he rarely attended the House of Commons and spent most of his time trying to finish his History of England. The third and four volumes were published in December 1855. 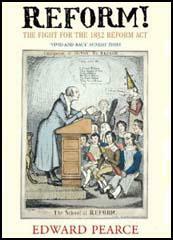 Although criticised for its pro-Whig sympathies, the History of England sold over 26,000 copies in ten weeks. The work was also translated into German, Polish, Danish, Swedish, Italian, French, Dutch, Spanish, Hungarian, Russian, Bohemian and Persian. In August 1857 Lord Palmerston granted Macaulay the title Baron Macaulay of Rothley. He attended the House of Lords for debates but refused the offer of a post in the government. Thomas Macaulay died on 28th December 1859. When Charles Wood who stood near the door jumped up on a bench and cried out. 'They are only three hundred and one.' We set up a shout that you might have heard to Charing Cross - waving our hats - stamping against the floor and clapping our hands. The tellers scarcely got through the crowd. But you might have heard a pin drop as Duncannon read the numbers. Then again the shouts broke out - and many of us shed tears - I could scarcely refrain. And the jaw of Peel fell; and the face of Twiss was as the face of a damned soul. We shook hands and clapped each other on the back, and went out laughing, crying, and huzzaing into the lobby. Three weeks will probably settle the whole matter, and bring to the issue the question, Reform or Revolution. One or the other I am certain that we must and shall have. I assure you that the violence of the people, the bigotry of the Lords, and the stupidity and weakness of the ministers, alarm me so much that even my rest is disturbed by vexation and uneasy forebodings. The royal assent was given yesterday afternoon to the Reform Bill. I rejoice at the course which the King has taken. It has had the effect that Lord Grey and the Whigs have all the honour of the Reform Bill and the King none of it. The King makes great concessions: but he makes them reluctantly and ungraciously. The people receive them without gratitude or affection. What madness - to give more to his subjects than any King ever gave, and yet to give in such a manner as to get no thanks.